Stops Viruses. Automatically blocks, cleans, and removes viruses so you can surf the Web safely and download files. Blocks Spyware. Blocks spyware before it installs on your computer and removes existing spyware so you can surf the Web safely. Stops Hackers. Protects and conceals your computer from hackers so you can surf the Internet safely. Improves PC Performance. Cleans clutter off of your computer so you can keep your computer healthy and running smoothly. Backs Up & Restores Files. Automated backup and one click restore so you don't lose photos, music and important files. Secures your Identity. Protects your online identity so you can shop, bank, e-mail, and instant message worry free. Prevents Spam & E-mail Scams. Prevents spam and phishing scams so you can e-mail with friends and family safely. 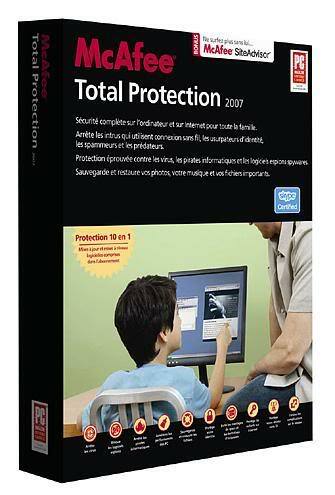 Protects Children Online. Filters offensive content, pictures, and Web sites so you can keep your children safe when online.